The only other Atwood novel that I’ve read, The Blind Assassin, was a bravura work of threaded narratives told incorporated the tale of a Canadian woman, the posthumously published science-fiction novel written by that woman’s sister, and the fantastic tales told by the late sister’s lover, a labor activist who is hiding from the authorities after being framed in an industrial arson case. I remember little of the plot of this book, which was published in 2000, but I was astonished by Atwood’s ability to connect very disparate stories. Stan wakes at night thinking for a moment that he’s home in bed, or at least in a bed of some sort. He reaches for Charmaine, but she isn’t there beside him and he finds himself inside the stinking car, needing a piss but afraid to unlock the door because of the voices yammering toward him and the footsteps crunching gravel or thudding on asphalt, and maybe a fist thumping on the roof and a scarred, partly toothed face grinning in the window: Lookit what we got! Cockfodder! Let’s open ’er up! Gimme the crowbar! And then Charmaine’s terrified little whisper: “Stan! Stan! We need to go! We need to go right now!” As if he couldn’t figure that out for himself. He keeps the key in the ignition, always. Rev of motor, screech of tires, yelling and jeering, pounding of heart, and then what? More of the same in some other parking lot or side street, somewhere else. It would be nice if he had a machine gun: nothing any smaller would even come close. As it is, his only weapon is flight. He feels pursued by bad luck, as if bad luck is a feral dog, lurking along behind him, following his scent, lying in wait around corners. Peering out from under bushes to fix him with its evil yellow eye. Maybe what he needs is a witch doctor, some serious voodoo. Plus a couple of hundred bucks so they could spend a night in a motel, with Charmaine beside him instead of out of reach in the back seat. That would be the bare minimum: to wish for any more would be pushing it. Medium-size towns with large penitentiaries could maintain themselves, and the people inside such towns could live in middle-class comfort. And if every citizen were either a guard or a prisoner, the result would be full employment: half would be prisoners, the other half would be engaged in the business of tending the prisoners in some way or other. Or tending those who tended them. The town uses the slogan “Consilience = Cons + Resilience. Do the time now, buy time for our future!” The whole thing seems quite ludicrous, but it’s hard to blame Charmaine and Stan for drinking the figurative Kool-Aid given the grim existence they led previously. But all of this is prelude to the heart of the story. Upon the couple’s installation in Consilience, domestic farce ensues. Charmaine falls into a torrid affair with Max, one of the “alternates” who occupy her and Stan’s house when they’re in prison. Meanwhile, after intercepting a saucy note that Charmaine leaves for Max using the pen name Jasmine, Stan develops a secret crush on the lascivious lady whom he imagines to be his alternate’s wife. Humiliation and hardship ensue for both spouses. It emerges that they’re pawns in a shadowy game being played by at least one high-ranking Consilience official, a delicate dance in which no one may be entirely trustworthy. Things culminate with some hijinks in a Las Vegas populated by Elvis Presley and Marilyn Monroe impersonators — some real, some robotic and some in between. Atwood develops some interesting tensions as Charmaine and Stan’s various relationships are strained by dalliances real and imagined, and they find themselves relying on figures with mysterious motivations. Unfortunately, The Heart Goes Last inhabits an awkward space between farce and tragedy, and to my mind doesn’t fully succeed as either. One issue is that Atwood may not find anyone in the story, even her hapless — albeit not exactly blameless — protagonists, to be sympathetic. The book’s final sentence serves as an indictment of the intelligence of the character who speaks it. It’s somewhat reminiscent of the situation in the MaddAddam books, where humanity’s overweening greed suggests that our entire species is worthy of extermination. 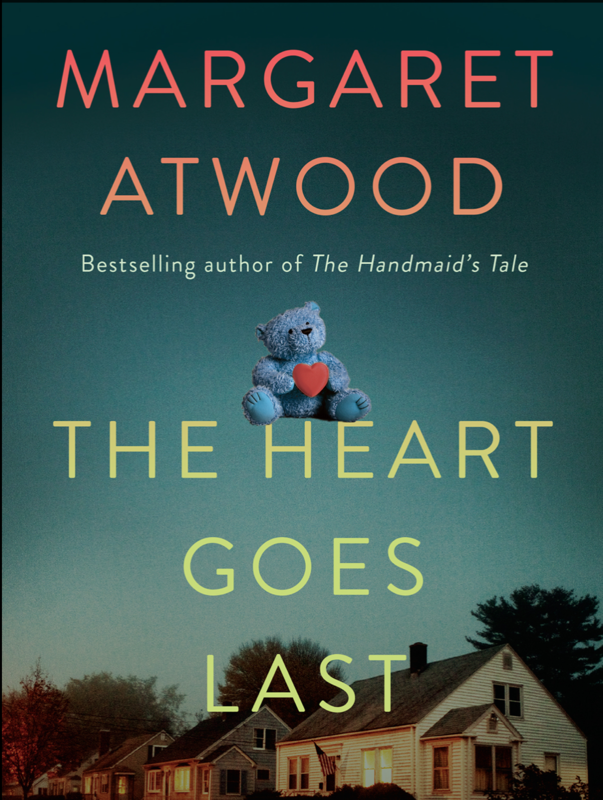 Atwood enthusiasts by all means should read The Heart Goes Last. It’s not a bad book, per se, but neither does it strike me as being anywhere close to the writer’s best work. This entry was posted on	March 17, 2019 at 9:55 am	and is filed under Books.